Provides a detailed listing of free and low cost health care clinics, vision and dental care; and a listing of free and low cost prescriptions, including local pharmacy programs, discount cards and more. They also provides a detailed listing of community resources for pregnant women, families and children. This program is for people who have a low income and/or special health care needs get dental care who do not have Medicaid or private insurance. Hours and locations vary for eligible individuals. 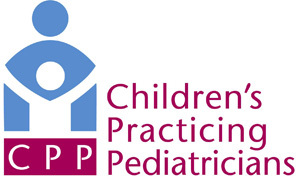 Provides comprehensive care to children in central Ohio at a very low cost. Run entirely by volunteer dentists, hygienists and dental professionals, the clinic focuses on providing services such as disease removal and prevention. They help children in families who earn too much to qualify for Medicaid but not enough to afford monthly dental premiums. Offers services to provide for the basic needs of all people, including shelter, food, health care, case management, veteran services; support for women facing domestic violence and their children, disaster response coordination and disaster preparedness training, transitional job training and more. They reach 29 counties in Ohio. Visit the website for detailed information about each program, location and contact information. Provides dental resources for kids and families. Parents can go online to search for a nearby pediatric dentist, learn about clinical guidelines, healthy snacks, teething, how to handle a dental emergency and more. Provides routine and emergency walk-in dental care for babies, children and teens, including those with special health care needs. They offer sliding scale fees for those who cannot afford a private dentist. They accept many insurances as well, including Medicaid. Offers complete services for children, teens and adults with developmental disabilities and autism spectrum disorders, including an autism clinic, behavior support services, dental care for children with developmental disabilities, early intervention programs, psychiatric services and more. They also have a toy and technology library. Their website has an extensive list of resources for families as well. Offers a list of Ohio Free Clinics. Free clinic services vary, but may include primary care, prescription assistance, dental, vision, behavioral health and other specialties. Provides an online list of reduced-cost dental clinics throughout Ohio, detailed information about dental health and information about how much fluoride is in your water, dental health for patients with HIV and dental care for uninsured people. Offers a complete range of affordable dental services, including preventive teeth cleaning, emergency care and evening hours. Because care is administered by student dentists, you can expect to save considerably when compared to fees charged in a private practice. Call for insurance and self-pay information. Services are provided for children above age 5 and adults throughout Ohio. Offers emergency walk-in hours for adults as well. Provide a wide range of services to teens and adults at many locations in Central Ohio. Services include pregnancy testing, obstetric / gynecology care, contraception, well woman exams, and treatment of pelvic pain; low cost dental care, including fillings, exams, cleanings and extractions. They also provide vision, behavioral and pediatric services. Uninsured patients may pay for services based on a sliding scale. They accept most health insurances as well, including Medicaid. Interpreting services are available upon request. Call to schedule an appointment. Provides affordable dental services for children ages 12 months to 20 years old. Accepts most health insurances, including government insurances (Medicaid, Molina, Caresource) and has a sliding scale fee for uninsured patients. A faith-based, non-profit organization that provide various services including, a community kitchen, tutoring, adult literacy and GED prep classes; school supply giveaway, Christmas toy giveaway, food pantry, pregnancy support; vision, dental, eye clinic, and healthcare with the Mount Carmel Mobile Medical Coach, and family events.